Willie Sutton was a notorious American bank robber who was known for carrying out robberies in various disguises. This biography of Willie Sutton provides detailed information about his childhood, life, achievements, works & timeline. Willie Sutton, born as William Francis Sutton, was an American bank robber notorious for his prolific criminal career which lasted for forty years. He is estimated to have robbed over 100 banks, stealing around $2 million. He was a master of disguise who often impersonated a postal telegraph messenger, police officer or maintenance man. His expertise at carrying out robberies in disguise earned him the nicknames “Slick Willie” and “Willie the Actor.” Besides being an innovative robber, he also had a reputation for cleverly breaking out of prisons, which he did thrice. In spite of being a criminal, Willie was non-violent and polite; he never killed anyone throughout his career as a professional criminal. He always carried a gun on his robberies, but he later admitted that he never carried a loaded gun as he was afraid of injuring anyone. He was often arrested for his crimes and spent half of his adult life in prisons. He was also infamous for not completing a prison term and breaking out. He was first arrested in 1931 and handed a 30-year sentence. But, he escaped the very next year with the help of a smuggled gun and by holding a prison guard as hostage. In 1950, he was listed as the 11th wanted fugitive on FBI Ten Most Wanted Fugitives, eventually being captured in 1952. 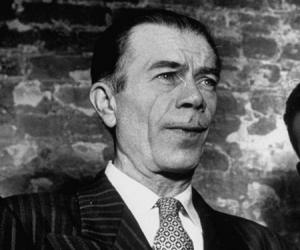 Willie Sutton was born into an Irish-American family in Brooklyn to William Francis Sutton Sr., a blacksmith and his wife. He had four siblings. He did not study beyond the 8th grade at school and dropped out to find a job. He legally worked for a short time as a clerk, a driller and a gardener. But, he soon turned to crime at a young age. 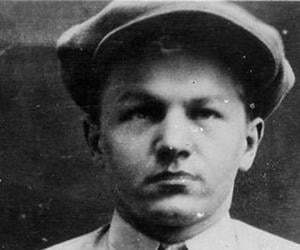 He began his criminal career in 1919 at the age of 18 when he robbed the office of a friend’s father with the help of two of his friends. The trio stole $16,000, but was soon caught. No charges were pressed against them. During 1924–25, he along with a friend worked for a burglary team headed by one of the biggest safecrackers of that time, Edward Tate. Willie learned a lot about the art of burglary from him. He became a prolific burglar in 1930, committing a total of seven burglaries or attempted burglaries, targeting mostly jewellery stores or banks. 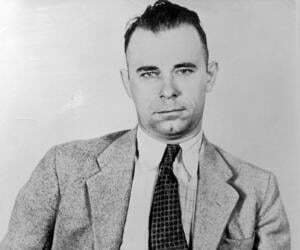 He was arrested in 1931, but managed to escape in 1932 using a smuggled gun. Along with two accomplices, Willie, disguised as a policeman burglarized the Corn Exchange bank, New York in 1933. The same year he attempted to rob the Corn Exchange National Bank & Trust, Philadelphia, but an alert employee foiled the plan. 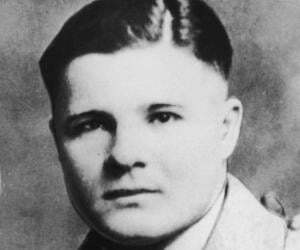 He returned in 1934 with two accomplices and made off with more than $20,000. He was apprehended in 1934 and sentenced to life imprisonment, but he again escaped, this time disguised as a prison guard. 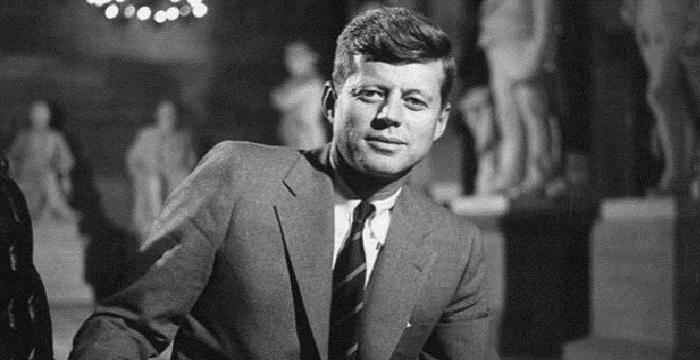 In 1950, he and some of his accomplices robbed the Manufacturers Trust Company, New York, by holding an employee on gunpoint. They got away with more than $60,000. His criminal career came to an end when he was arrested in 1952 for robbing the Manufacturers Trust Company. 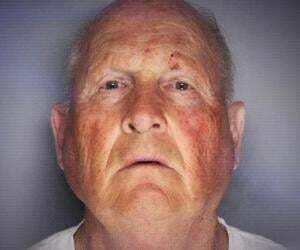 At the time of his arrest, he owed one life sentence plus 105 years. He was tried in Queens County Court and given an additional sentence of 30 years. In 1930, Willie entered the H&L Gross Jewelry Store in New York posing as a customer. He then robbed the owner at gunpoint and made off with jewelry worth $30,000. In the same year, he along with five accomplices including two women, entered the Richmond Hill National Bank and handcuffed some of the employees. They forced the manager to open the vault and hand over to them $19,000. Willie, disguised as a telegraph messenger entered the J.Rosenthal & Son Jewelry Store when an employee opened the door to receive the telegram. His accomplice followed and they both bound the employees. They ran off with jewelry worth $129,000. He, along with two accomplices burglarized the Corn Exchange bank, New York, in 1933 by pretending to be a policeman. Willie held the doorkeeper at gunpoint while the others managed the employees. The manager was forced to open the vault, and the robbers fled with $23, 000. Willie had made an unsuccessful attempt at robbing Corn Exchange Bank & Trust Co. in 1933 but he returned the next year to complete the task. Accompanied by two of his most trusted accomplices and armed with guns, they handcuffed the employees and forced the manager to open the vault and hand over $21,000. In 1950, he along with two accomplices robbed the Manufacturers Trust Company in their usual time-tested manner. They held the bank custodian at gunpoint while forcing the manager to open the vault. They made away with almost $64,000. He married Louise Leudemann in 1929 with whom he had one daughter. She divorced him while he was in jail. He married his second wife Olga Kowalska in 1933. His prison sentence was suspended in 1969 due to his good behaviour in prison and failing health and he became a free man. Post his release from the prison, Willie became an advocate for prison reforms and advised banks on anti-robbery techniques. He did not commit any robbery again. He suffered from emphysema during his later years. He spent his final years with his sister in Florida and died in 1980, aged 79. In spite of being a criminal, he never killed anyone. He had the reputation of being a “Gentleman Robber’ though some sources state that he was not really such a gentleman. He is popularly quoted as saying that he robbed banks “because that's where the money is”--a quote he denied having uttered at all. He has co-authored two books based on his life: ‘I, Willie Sutton’ (1953, with Quentin Reynolds) and ‘Where the Money Was’ (1976, with Edward Linn). A documentary film, ‘In the Footsteps of Willie Sutton’ based on his life was made in 2011.